Halloween and the Day of the Dead: Part 1! It is that time of year again when ghosts walk the earth and guisers appear as people begin to prepare for the usual Halloween festivities! 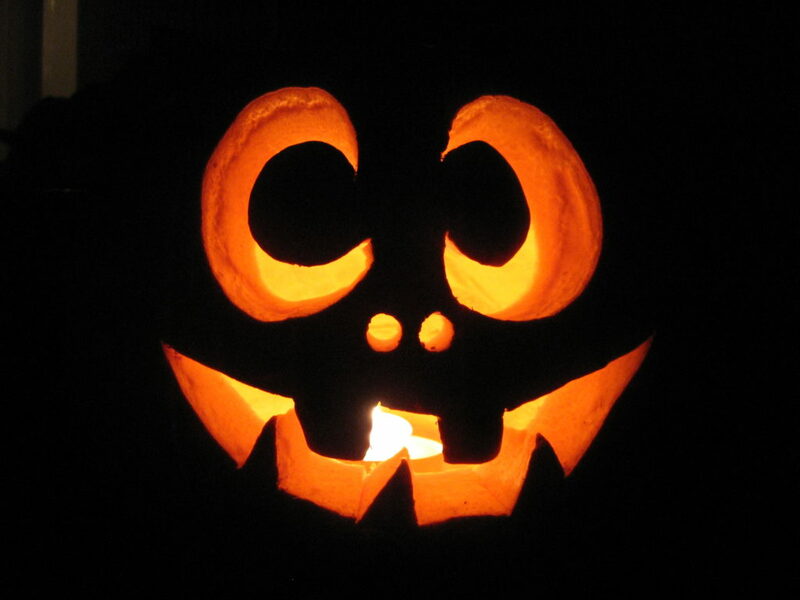 Celebrated in a number of countries Halloween originated from All Hallows’ Eve, which is part of the Western Christian triduum of All Hallows’ Eve (31st October), All Saints’ Day (November 1st) and All Souls’ Day (November 2nd). Each day is dedicated to different activities with the church traditionally holding a vigil on All Hallows’ Eve where worshippers would prepare themselves with prayers and fasting prior to the All Saints’ Day feast. After this All Saints’ Day was dedicated to remembering past saints and martyrs and All Souls’ Day provided the opportunity to commemorate those who have passed away. As some of you will have guessed from the title of this post, Halloween – as well as the original Christian holidays – are now linked to the Spanish Day of the Dead or Dia de Muertos. Originally a Mexican holiday many cultures now participate in this celebration as this holiday focuses on the gathering of family and friends who assist loved ones on their journey to the spirit world by celebrating their memory. 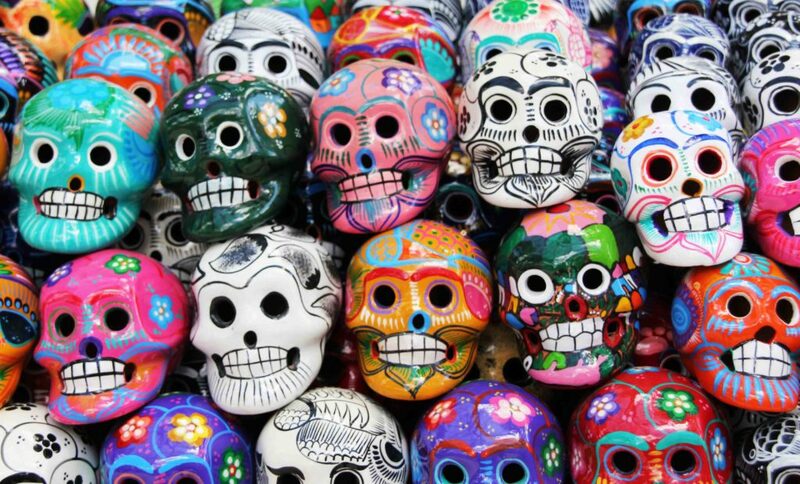 While the Day of the Dead first took place at the beginning of summer, due to Spanish colonisation in the 16th century, gradually this holiday became associated with October 31st, November 1st and November 2nd to coincide with the Western Christian holidays. Unlike what Western Halloween has become, with the rather ominous threat of ‘trick or treat’, the Day of the Dead has many colourful and celebratory traditions that seek to honour the deceased, including the creation of sugar skills and the decorating of graves with marigolds, as well as the favourite foods and beverages of passed loved ones. In the spirit of this gentler celebration today’s post is going to be looking at some of the people represented in the GSA Archives and Collections who have passed away, their work and the impact that they have had on the School. Recently the GSA Archives completed the cataloguing of the George and Cordelia Oliver Archive which includes the sketches, personal papers, GSA student work and photographs of both George and Cordelia Oliver. The output of these two individuals was so great, they are both worth mentioning for their contribution to art, art criticism, photography and their participation in the Glasgow School of Art. Cordelia Oliver was an artist and art and theatre critic. Born in Glasgow in 1924, Cordelia was educated at Hutcheson’s Grammer School where she excelled in both English and in Art. 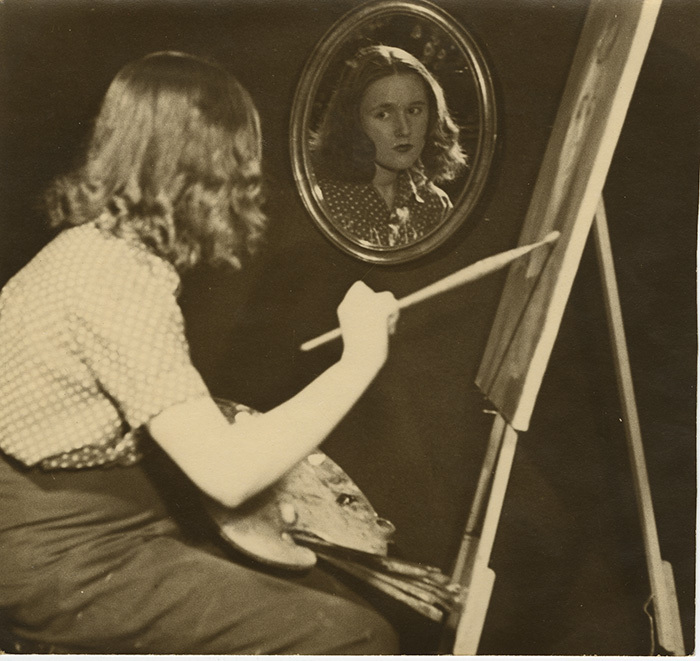 While encouraged to continue with her study of English, her artistic calling was too strong and Cordelia came to study at the Glasgow School of Art in 1940, much to her English teacher”s displeasure. 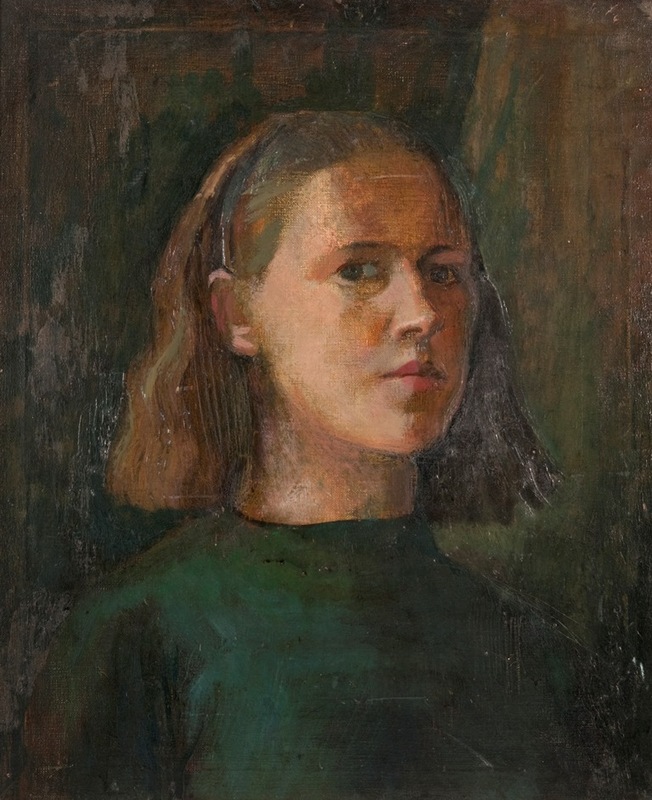 While a gifted painter who went on to work as both a painter and designer, Cordelia eventually became involved in art criticism and would write for the Glasgow Herald under the anonymous byline of ‘Our art critic’. While Cordelia continued to work as an artist while writing, in 1960 her writing began to take precedence and with an invitation from the features editor of Manchester Guardian, she began to write under her own name. 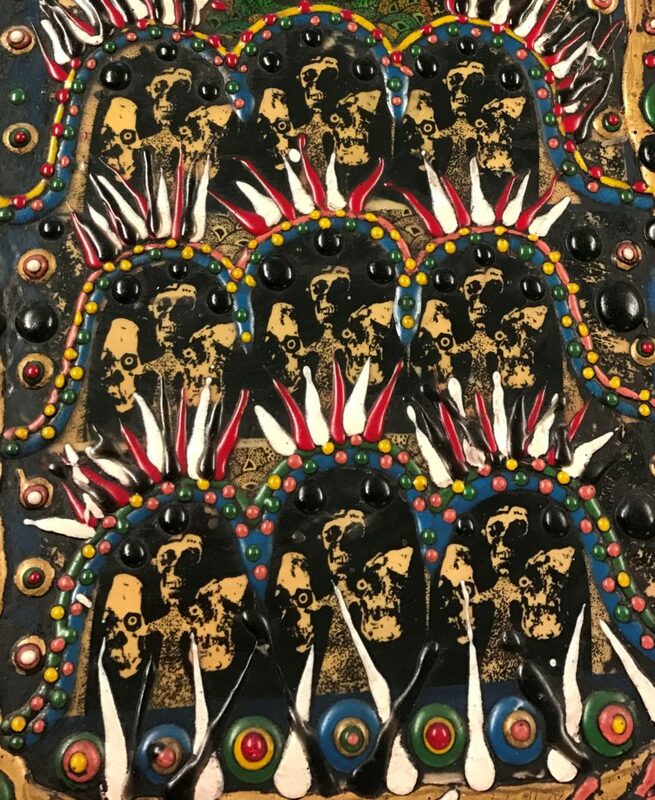 The GSA Archives and Collections now holds Cordelia Oliver’s art criticism, which includes very direct and personal critiques of art exhibitions, plays and installations across Scotland. It was the forceful way in which she expressed her views that made them so convincing and she became a significant champion of the modern, forming alliances with Richard Demarco and Jim Haynes. A significant contributor to both the arts and art criticism Cordelia passed away in 2009. Look out for Part 2 of this post on Halloween where we will continue with the story of George Oliver and another recognisable figure from our Archives and Collections. Until next time!